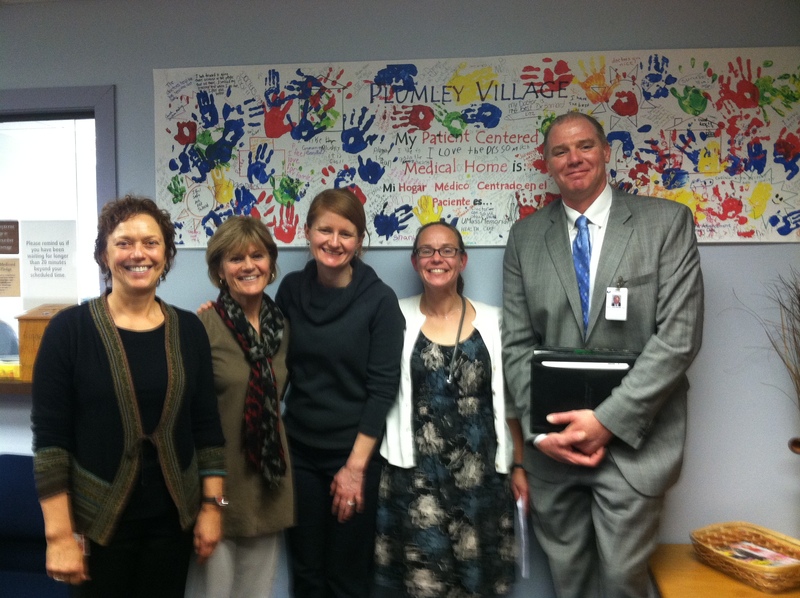 Last week I had the chance to visit Plumley Village Family Medicine, just across the street from our Medical Center’s Memorial Campus. The caregivers at Plumley deserve a gold medal for team work and delivering great care to the population they serve. 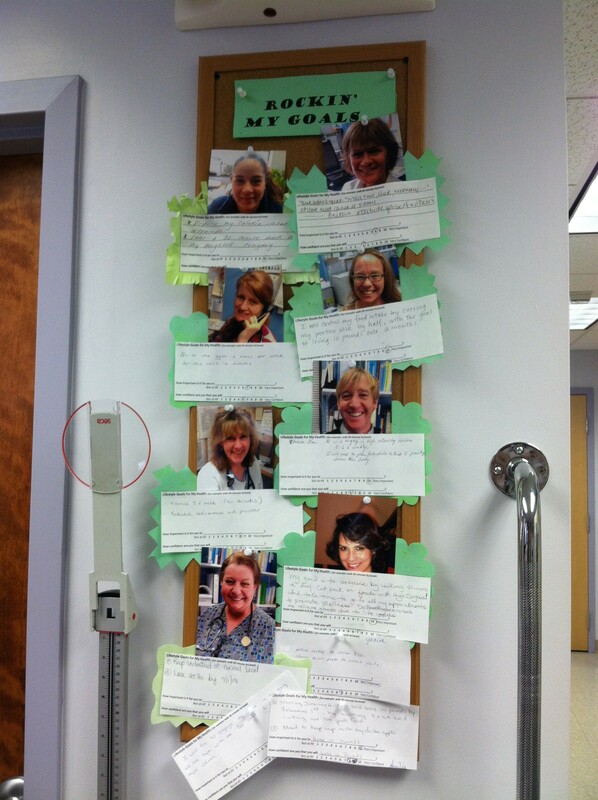 They had everything I look for when I visit a site, department, clinic or unit: an idea board to capture innovations from everyone; results for key metrics they are working on posted on the wall in large print so all can see; and they worked together to earn $200 each in health credits by completing the myHealth Matters registration, well-being assessment and screening. People have asked me if they can go to Employee Health for the screening and the answer is no, but for a good reason. The personal data generated through the myHealth Matters assessments and screening is not part of your medical record here and cannot be accessed by us as your employer. Personal data goes to and is held securely by another company called Limeade. You can however, download a health screening form once you register, and have your doctor fax it to Limeaid directly at 866-877-7983. The attached photo is from a mural on the wall created by the Plumley patients. 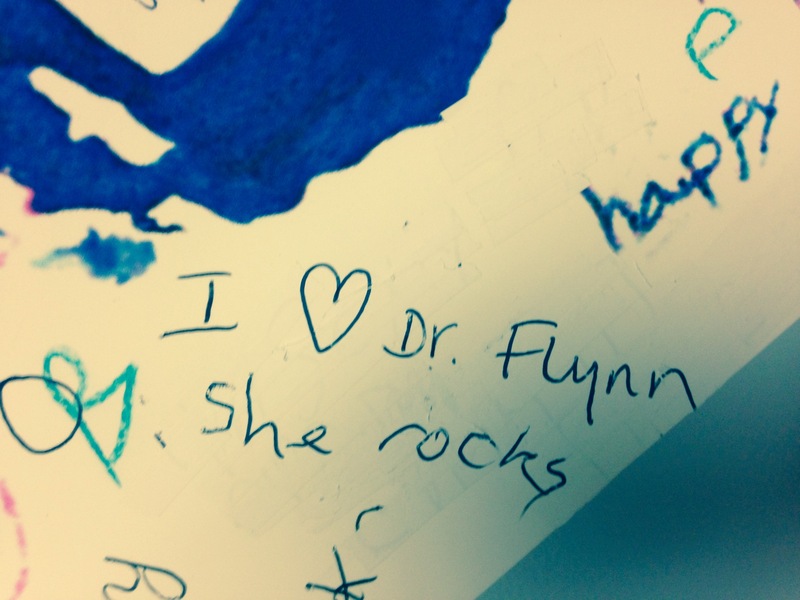 I think Dr. Flynn and everyone at Plumley Village rocks! Showing support for our friends who have lost their jobs – Last week UMass Memorial Health Care hosted an open house for our friends who were laid off in January. Recruiters from our Clinton Hospital, HealthAlliance Hospital, Marlborough Hospital, Wing Memorial Hospital, and even our friends from Baystate Health in Springfield, were on hand to accept applications. In addition, representatives from our Benefits and HR departments were there to help with resume writing and job interview skills. I was happy to hear that there were more than 50 of our former colleagues in attendance.